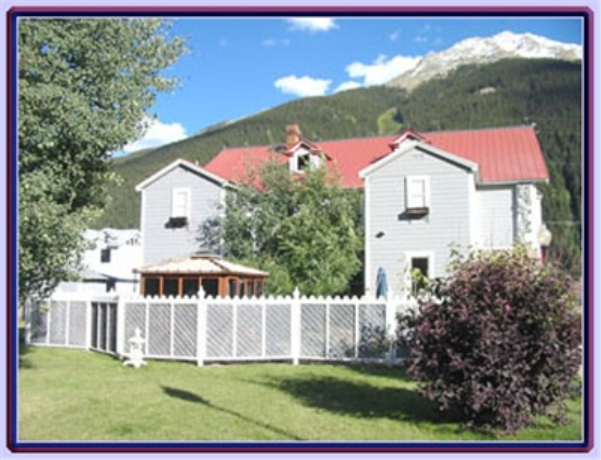 Silverton's Inn of the Rockies is proud to provide you with the very best in accommodations and customer service. 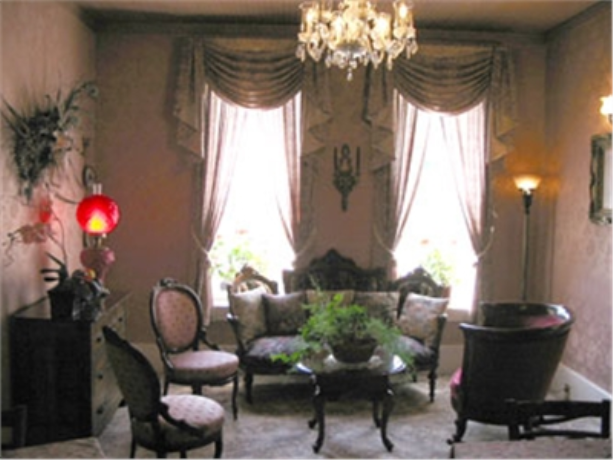 They invite you to come inside their turn-of the century Inn and experience an alchemy of elegance, historic charm, and comfort; known for gracious hospitality and fine food for over 100 years. It is their goal to provide you with a wonderfully memorable stay. 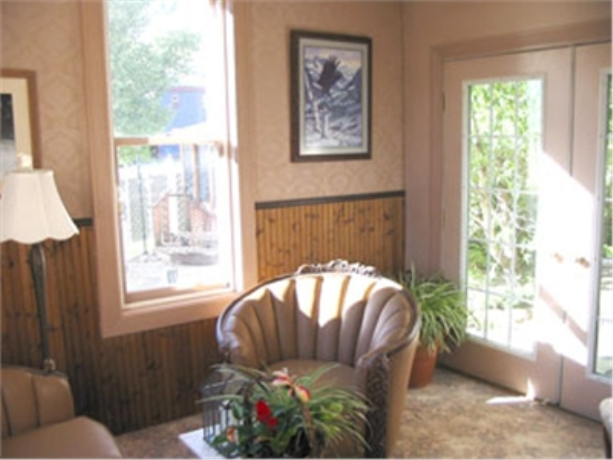 Located on the first floor, the Caboose has easy access to our gardens, hot tub and parlors. 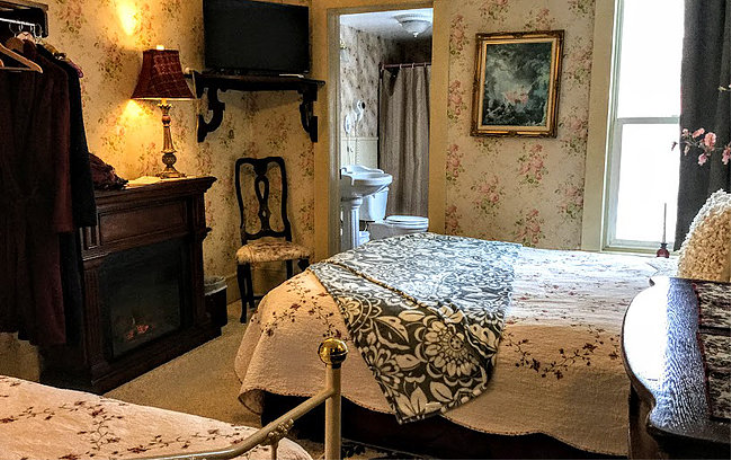 Blessed with a gas fireplace, deep claw foot tub and subdued lighting, this room is perfect for the romantic getaway. This room is ideal for those who might have a bit of trouble navigating our stairs. Includes a full hot breakfast and early morning coffee and baked treats outside your door delivered at 6:00 AM. Best for Early Risers and those who might have difficulty with stairs. The only room on the ground floor. 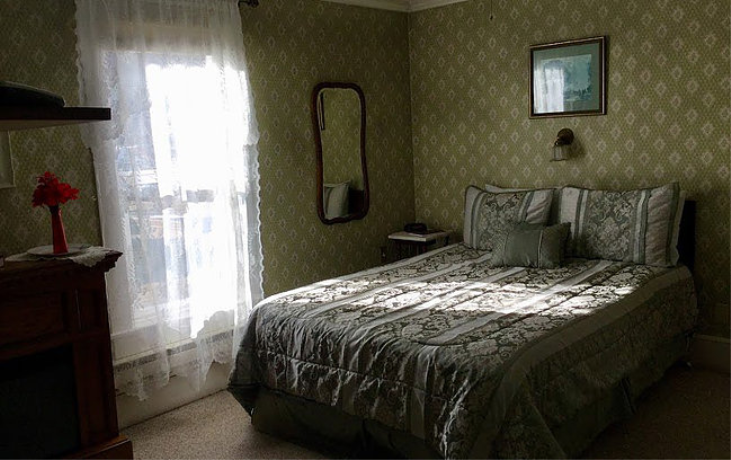 A large deluxe room with a king size bed, fireplace, sitting area, claw foot tub in the bedroom, and a private bath. 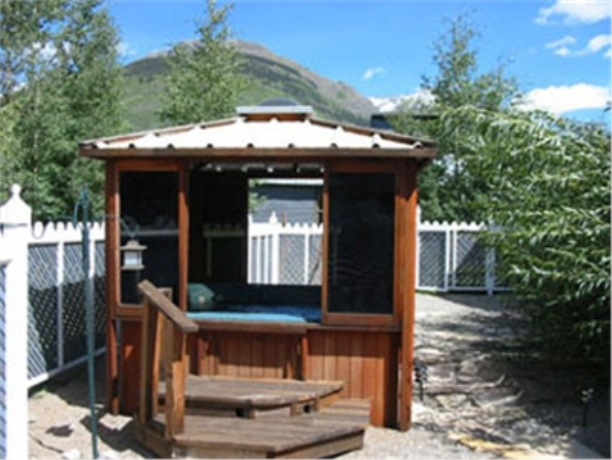 The Animas (or Bird Room as it is often called) is located on the second floor and enjoys an electric fireplace, full bath, 32 inch television with DirectTV and both a comfy Queen Bed and a twin trundle. It is one of our quietest rooms. Early morning coffee and fresh baked treats magically appear in the hall just outside your door. Includes a full hot breakfast. The General Palmer is a perfect suite for a small family. An electric fireplace, leather fold out couch, Four Poster King bed and 32 inch television makes this two room suite special. Includes a full breakfast and early morning coffee with fresh baked goods just outside your door. Note: This room is equipped with a shower. There is no bath tub. A cozy room on the second floor with views of the courtyard. An electric fireplace, 32 inch television with Direct TV and full bath makes this room a comfortable and quiet oasis. Includes a full hot breakfast and early morning coffee just outside your door. 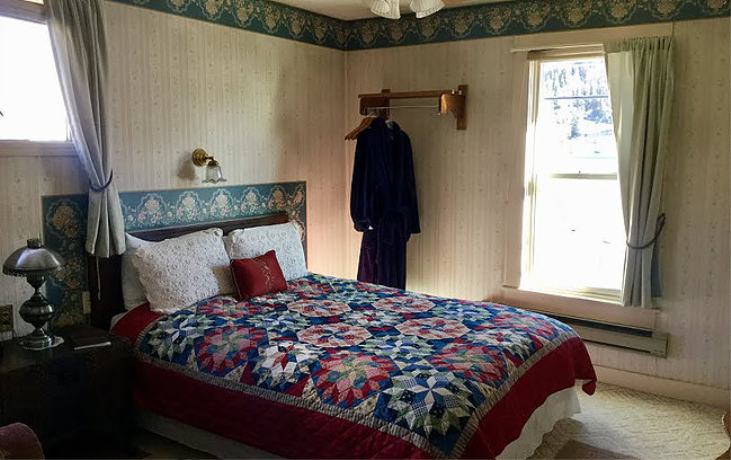 The Prospector is located on the second floor and features a queen bed, electric fireplace, 32 inch television with Direct TV and full bath. Graced with reproductions of famous works of art, this room is historically for the lucky miner who hit pay dirt. Early morning coffee and baked treats are available just outside in the hall. Includes a full hot breakfast. 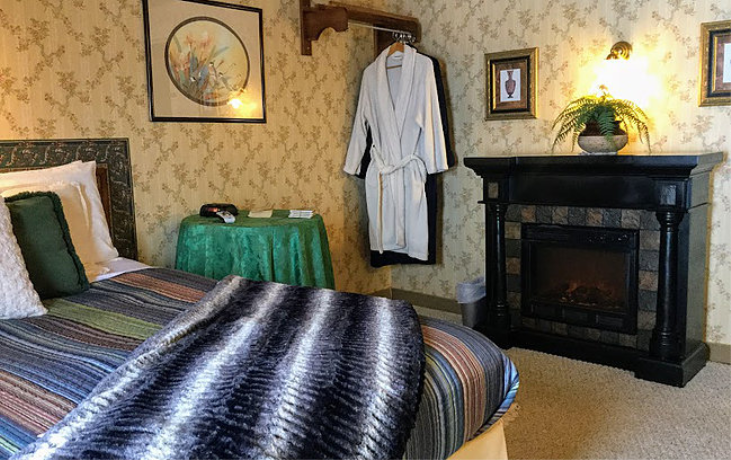 The Tall Timber, located on the second floor next to the San Juan room, enjoys wonderful morning sun, an electric fireplace, 32 inch television with Direct TV and a deep claw foot tub and shower in the shared bath. Another great room for the skier, hiker or couple looking for elegance and hospitality at a budget price. includes early morning coffee and baked treats and a full hot breakfast. This room shares a bath with the San Juan room (Room 6). Our wonderful Rio Grande Suite is located on the third floor and is perfect for families who wish to vacation together while enjoying privacy. 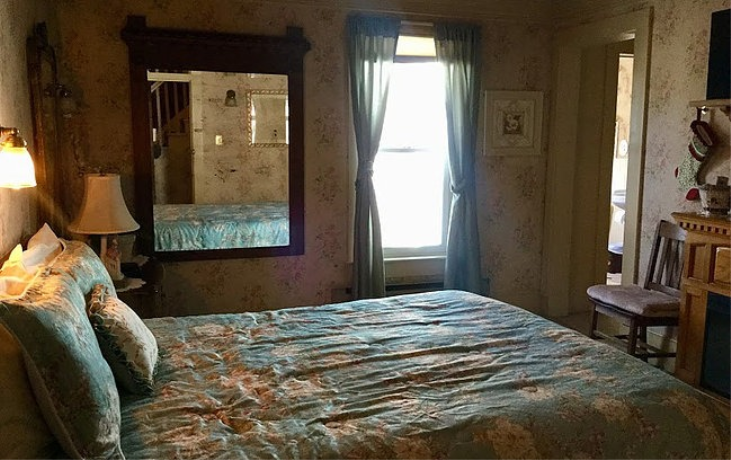 Blessed with a private bedroom featuring a king size bed, electric fireplace and 32 inch television which can be closed off from the adjoining large room. The second room also has a 32 inch television and two twin beds. Full private bath with deep tub and vanity. Includes early morning coffee and fresh baked goods outside your door and full hot breakfast. Number of breakfasts included (4) IMPORTANT: The Rio Grande is on the third floor and requires a good hike up the stairs. Not recommended for those with difficulty breathing at 9500 feet or who may have difficulty climbing stairs. 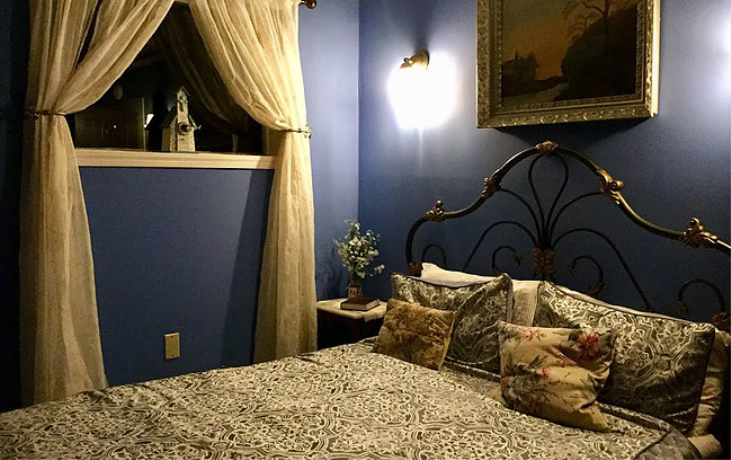 A cozy and quiet room on the second floor, the Silver Vista looks out over the courtyard and enjoys an electric fireplace, soft tones and a full bath. From Durango and Ouray, enter Silverton on Hwy 550, one block past the Conoco Station turn right onto 10th street. Inn of the Rockies at the Alma House is on the next corner at 220 East 10th Street. Written Cancellation Policy	| You may cancel without penalty up to one week prior to reservation date. Cancellation within seven days of reservation date will result in loss of deposit. Written Deposit Policy	| Price of one nights stay. Pets	| Small well behaved pets are welcome for a $15 fee per visit. Owners must sign a pet agreement upon arrival. Other	| Cancellation - You may cancel without penalty up to one week prior to reservation date. Cancellation within seven days of reservation date will result in loss of deposit. Children	| Children are welcome.